Professor Ostoja (Steve) Vucic is a neurologist (FRACP), clinical academic and translational researcher at the University of Sydney, Westmead Hospital, whose pioneering research in the field of neuroscience has uncovered novel pathophysiological processes in neurodegenerative diseases, including amyotrophic lateral sclerosis (ALS), frontotemporal dementia and progressive forms of multiple sclerosis. Professor Vucic has significantly enhanced the understanding of the pathophysiological processes underlying ALS, with the key discoveries relating to the identification of “cortical hyperexcitability” an initial and driving mechanism in ALS. This important discovery has resolved a vital question pertaining to ALS pathogenesis, namely the site of disease onset, a research question which dates back to the original description of ALS some 150 years ago. Professor Vucic has gained an international reputation for his research in neurodegenerative diseases and was promoted to Professor of Medicine in 2014, aged 42, just 7 years after obtaining his Doctoral thesis. Professor Vucic has been awarded numerous national and international prizes (see below and curriculum vitae), including the highly prestigious Gottschalk medal by the Australian Academy of Science (2016) for outstanding research in biomedical sciences, as well as the Eric Susman Award (2017) by the Royal Australasian College of Physicians for outstanding achievement in research in any branch of internal medicine. In addition, Professor Vucic has received media coverage, including radio, television and print (including Time magazine in 2006) and has been invited to present at numerous national and international neuroscience meetings. 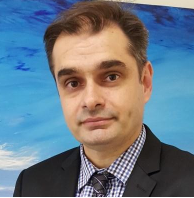 Professor Vucic has published 180 manuscripts in peer reviewed journals, including Lancet, Lancet Neurology, Brain, Nature Genetics, JAMA Neurology. His research has attracted over 6000 citations (>4000 since 2011) with a H-index of 37 and an i10-index of 103. Professor Vucic has also published a number of book chapters and a textbook titled “Practical Approach to Electromyography” with international collaborators from the Harvard medical school, Harvard University. Neuroinflammation is a pathological hallmark of amyotrophic lateral sclerosis (ALS), a progressive and fatal neurodegenerative disorder caused by loss of upper and lower motor neurons. Accumulating evidence suggests that astrocytes, microglia and T cells actively contribute to neurodegeneration and progression in ALS. Recent work in the mouse model has shown that early immune response may be neuroprotective, shifting to a pro-inflammatory and neurotoxic state only in the later stages of ALS. During early disease, regulatory T cells (Treg) are increased in blood and lymph nodes, while spinal cord ribonucleic acids (RNAs) for FoxP3 and anti‑inflammatory cytokines (interleukin [IL]-4, IL-10) are upregulated and the microglia exhibit a neuroprotective M2 type. With disease progression, pro-inflammatory cytokines increase (IL-1β, IL-6 and interferon-γ [IFN-γ]), and the CD4+CD25– T effector levels expand, while Treg levels decline. Interestingly, adoptive transfer of Tregs into mutation SOD1 mice induces M2 microglia and prolongs survival. In ALS patients, reduced Treg numbers have been associated with a more rapid progression of disease. Specifically, Treg levels in peripheral blood have been inversely correlated with rate of disease progression and whole blood messenger RNA (mRNA) for FoxP3, a transcriptional regulator of Treg function, was predictive of disease progression. Rapid progressors exhibited reduced FoxP3 mRNA (a biomarker of Tregs) in spinal cord and increased inflammatory cytokine levels, suggesting that the immune balance is skewed to a more proinflammatory state in the target tissue. In addition, increased proportions of pro-inflammatory effector T cells, increased monocyte/macrophage activation, upregulated co-stimulatory pathways, and reduced Treg numbers were all associated with rapid disease progression in ALS. Interestingly, adoptive transfer of Tregs in mutant SOD1 mice induces M2 microglia and prolongs survival, suggesting that Tregs contribute to neuroprotection by modulating microglial activation. Enhancement of Treg levels in humans can be achieved safely and effectively by using Tecfidera, a commercially available medication for treatment of the relapsing-remitting form of multiple sclerosis. Specifically, studies in multiple sclerosis patients have reported that tecfidera rebalances the immune system towards the regulatory/neuroprotective immune axis. Tecfidera has also been shown to exert effects on pathogenic mechanisms implicated in ALS. Specifically, tecfidera exerts anti-oxidant effects, modulates microglial activity and reduces cortical hyperexcitability. Consequently, this Phase II randomized placebo controlled trial will assess the efficacy, safety, and tolerability of Tecfidera in sporadic ALS patients across 6 Australian sites.